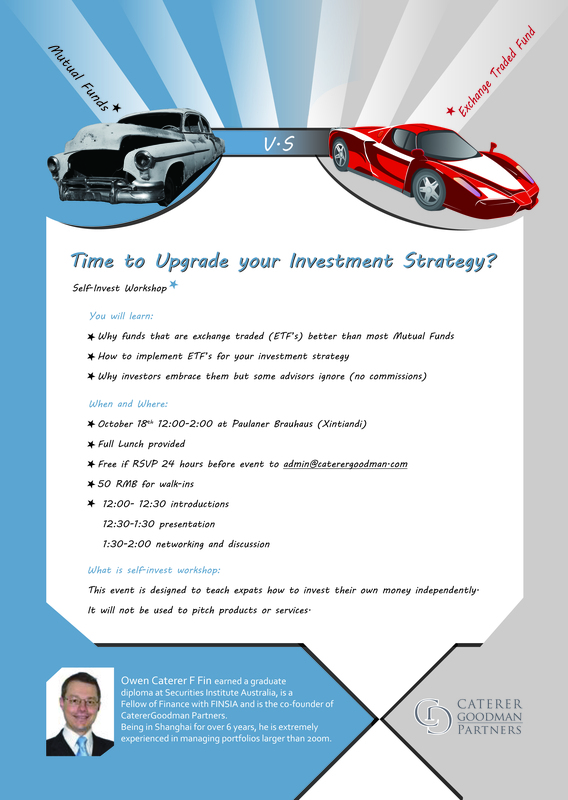 Time upgrade your Investment Strategy? We’d like to invite you to an upcoming lunch event (free if you register) to learn more about some investing ideas. This isn’t code for selling though since we will be teaching people how to buy funds through broker based platforms themsevlves. Yes, we are potentially doing ourselves out of a job. See details in the flyer attached. We hope you can make it and invite your friends.